The United States has long been a leader in the peaceful use of nuclear energy, and within a few years Alaska could be on the leading edge of this clean, reliable and affordable technology. The next generation of nuclear systems — known as advanced reactors — could help relieve crippling energy prices in isolated villages and provide baseload power for an array of other applications. What’s more, the technology is safer than ever before. Advanced reactors are not your grandparents’ nuclear plants. These systems use new materials, fuels, and methods to convert heat to electricity. Creative designs mean massive improvements in performance. Many are inherently safe and will never melt down. Refueling will occur even less frequently — once every couple of decades. Better systems to extract heat and generate electricity equate to higher efficiency and cheaper power. Together, these improvements are enabling the emergence of so-called “microreactors” that could be a perfect fit throughout our state. As the name suggests, these smaller reactors can be right-sized for dozens of Alaska communities and will have off-grid capability that could solve the challenge of providing clean, affordable energy in our remote areas. Over the past several years, I have worked with my Senate colleagues to develop a pathway for the development of these systems. We successfully passed two measures in the last Congress to bring the public and private sectors together to facilitate reactor development and streamline the approval process at the Nuclear Regulatory Commission. 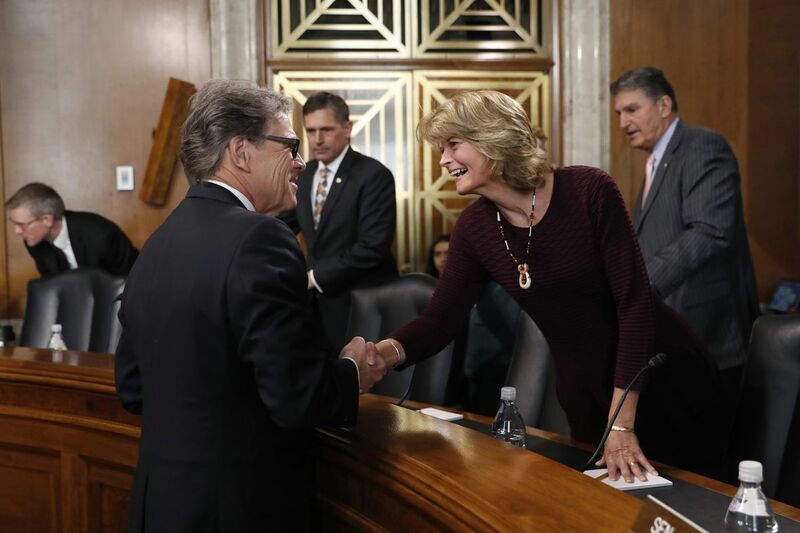 The next steps to making them a reality are contained in the Nuclear Energy Leadership Act, which I recently introduced along with a bipartisan group of 16 other senators. NELA will accelerate the path to market for advanced reactors by directing the Department of Energy to demonstrate innovative concepts and allowing the federal government to be an early adopter, when and where it makes sense. This is a sensible path toward cleaner energy as national and global energy demand continues to grow. Outside of hydropower, nuclear energy remains the only source, renewable or otherwise, that can feed the world’s appetite for energy with no emissions, and be a reliable and dispatchable bedrock of a lower-carbon future. The emergence of advanced reactors is a bright spot in an industry that has struggled in recent years. Existing nuclear plants in the Lower 48 are aging and facing challenges that render them less competitive. Plans for new conventional reactors in the U.S. have mostly been scrapped, with only two currently under construction. Meanwhile, our geostrategic competitors — China, Russia and others — have recognized nuclear energy’s immense potential and are blazing new paths to seize it. Operating from a position of strength, they are seizing the mantle of advanced reactor leadership for the coming decades. The decline in U.S. nuclear leadership has had a range of economic consequences for our nation. It has also diminished our ability to influence nuclear security and non-proliferation decisions. Allowing other nations to take our place could put world security interests at risk. Fortunately, it is not too late to turn the tide and restore our influence, particularly if we pursue the development of advanced reactors that can help reduce greenhouse gas emissions without increasing the cost of electricity. My colleagues and I believe that it is time to restore U.S. leadership. And as we do, Alaska stands to benefit as much as any other state. Many of our small villages are making progress on hybrid microgrid systems that integrate renewable resources. Microreactors would be a new option to reduce diesel consumption, with a system the size of a Conex box providing constant power at considerably lower cost. As an added bonus, we can forget about the perils of twice-annual barge shipments — these reactors will only need to be refueled once every 25 to 40 years. Innovative nuclear technologies are scalable, providing new options for more densely populated areas like Anchorage and Fairbanks. From a military perspective, they could ensure that our Arctic installations have the reliable power they need to be at the appropriate readiness level with no question of when their next fuel shipment will arrive. Advanced reactors also have great potential for our state’s remote resource operations, where power costs are often one of the highest operating expenses. Microreactors could provide the energy necessary to run a mine, an oilfield, or any number of projects — again at far lower cost and no emissions, with less land usage and a simpler permitting process. Many Alaskans I have spoken to have never fully considered the possibility of nuclear power in our state. It’s easy to understand why, but advanced reactors have now made that prospect increasingly real. In the near future, Alaska could become a proving ground for these new technologies — with a whole host of benefits to show for the effort. Lisa Murkowski represents Alaska in the United States Senate. She is a Republican.